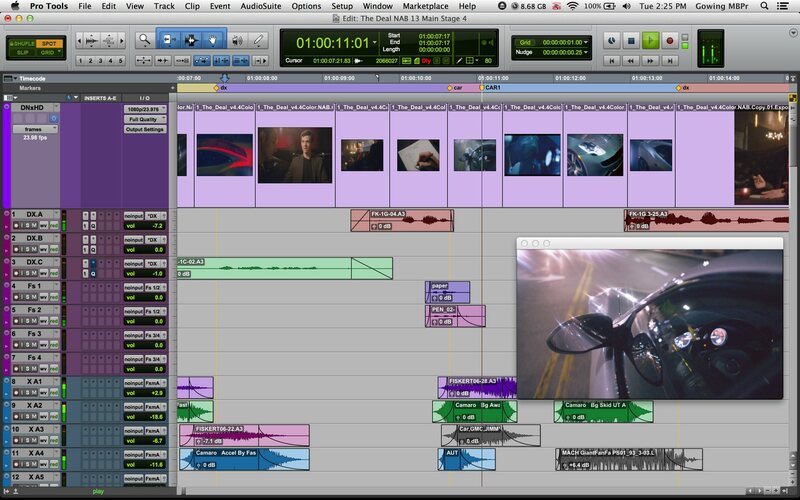 Pro Tools’ video integration is now formidable, with Avid’s flagship engine built right in. Result: no transcoding for HD. Image courtesy Avid. 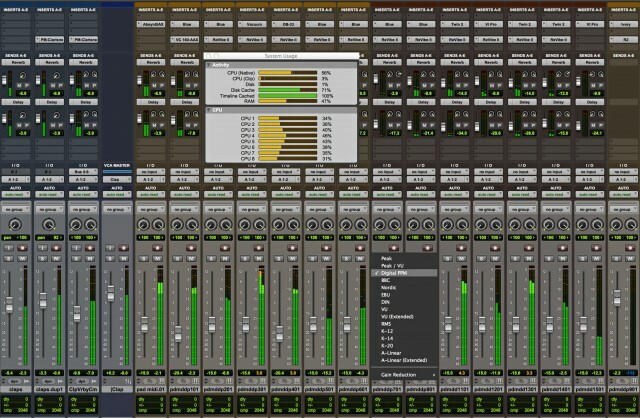 Avid has announced Pro Tools 11, the latest version of their flagship DAW. There are no whiz-bang features in this upgrade; instead, it seems Avid was solely focused on performance. Those improvements look promising; real-world performance is one of those things that makes the biggest difference in day-in, day-out use. The engine rewrite is joined here by top-of-class video integration, benefiting from Pro Tools’ sister products in video at Avid. These still will do little to sway users of other DAWs, but that’s not new. What is new is seeing a Pro Tools upgrade overshadowed by uncertainty about its developer. It’s a bit of a paradox: Pro Tools remains the massively-dominant DAW in high-end productions for film, television, and video; love it or hate the software, Pro Tools users routinely dominate Grammy and Academy Awards. But the announcement comes at a time when a cloud hangs over the developer’s corporate entity. (See below for an excellent, detailed editorial that makes the same argument – not to plagiarize; I simply agree wholeheartedly.) And if you’re looking for news on that front, it seems you’ll have to wait. As for the announcement, the marketing copy also starts with a peculiar marketing claim: “Get exponentially more processing power than Pro Tools 10 using the same hardware.” It’s hard to know where Avid would find exponential performance gains, unless they know a different meaning of the word. A 64-bit engine, for instance, generally offers marginal, not exponential gains. It seems there is a new engine users are happy with, but there would have to be something horribly wrong with the previous engine for the new one to be exponentially faster on the same hardware architecture. Rewritten audio engine, the Avid Audio Engine, which adds 64-bit native computational support (and thus catches up with SONAR, Cubase/Nuendo, and so on). Avid Video Engine from Avid Media Composer – native playback of MXF HD, Avid DNxHD, and other HD video formats. That’s huge, actually. Audio rivals like MOTU and Steinberg lack the video products; Adobe lacks the music product. And Apple seems asleep at the wheel as far as providing integration between the Final Cut Pro X engine and Logic – this is another painful reminder of how silent Apple has been about the DAW they once enthusiastically hyped. As an aside, this week also brought refreshes for the Fast Track USB audio interface line that add iOS support. That has become a standard feature, and it means, if unintentionally, USB class compliance for Linux and embedded devices, to boot. The Fast Track even includes a dedicated “tablet” port (USB A, it appears) for connecting an iPad directly without the inconvenience of a Camera Connection Kit in between. But Pro Tools 11, of course, is the big news, so back to that. Pro Tools Expert is enthusiastic about the upgrade. (The reference to cosmetic surgery is unfortunate, but give it a read – this really does sound like the upgrade Pro Tools users have wanted for some time.) If you don’t follow that blog regularly, they’re far from cheerleaders, offering regular, fair criticism of Avid. It’s worth following all their detailed coverage, in fact, since they’re more focused on Pro Tools than this site. I enjoy writing my ramblings, but you may get more out of, say, keyboard shortcuts. The upgrade pricing isn’t incidental, either. The software costs US$699, but upgrades from Pro Tools 10 are running a full US$299. 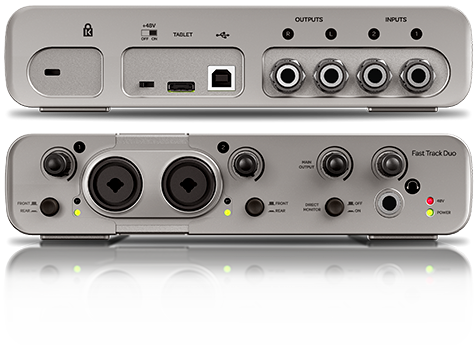 HD upgrade pricing runs $599; if you’re still on Pro Tools HD 9, it’s a whopping US$999. It’s good news for Avid that producers and engineers don’t like to switch DAWs, as the upgrades here cost as much (or more) than switching DAWs. None of that matters to people who are invested in Pro Tools as a way of working. For them, those same competitors may hold little appeal. (See above Grammy and Oscar comment: many of those folks seem to be very Pro Tools loyal, indeed.) But they are also likely concerned about recent news about Avid, the company. I’ve backed away from discussing Avid’s corporate woes, as I felt I had little to add to stories from others with a better grounding in what’s going on. But the news is very bad, indeed. Following the latest round of restructuring and layoffs in the fall, Avid made the unorthodox announcement that it had to postpone its fourth-quarter earnings announcements because of uncertainty about its actual accounting in fourth quarter 2012. This is not like your or I getting an extension on filing taxes; Avid is a publicly-traded company, regulated by the United States’ regulatory body, the SEC. Accordingly, Avid got slapped with not one, but two shareholder class action suits. The Screenlight article sums up the strange state of affairs. The people you see winning awards are often doing it with Pro Tools. But the future of Avid’s corporate future is uncertain. I’d add to that situation the way in which these DAWs sometimes seem to exist on separate planets. I think Pro Tools is an excellent tool. I’m more confident of that when I see what users do with it, when it’s clear how happy this tool makes them. I feel too often, the playing field is unbalanced and overly emotional. I think it’s painful for people who use (or develop) other DAWs to see Pro Tools lag on important functionality. I think it’s equally painful for Pro Tools aficionados when emotions about Avid (and formerly, Digidesign) cloud people’s ability to see the stuff Pro Tools does really well. I’m not sure DAW users will ever get less impassioned about their choices. So, in the meantime, we can only hope we find out what’s going on at Avid soon. It seems to me the uncertainty isn’t good for users, for employees, or for the industry. Comments: I’d really like to hear from current Pro Tools users. What are your plans? Are you intending to upgrade? And has anyone made the switch from Pro Tools to another DAW in the last couple of years?